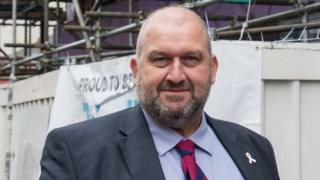 An official investigation into how Carl Sargeant was sacked by First Minister Carwyn Jones has been suspended because of a legal challenge. The lawyer in charge, Paul Bowen QC, put the inquiry on hold after Mr Sargeant's family sought a judicial review in the High Court. Mr Sargeant was found dead days after he was sacked from his ministerial post amid allegations of sexual harassment. He denied the claims. His family has challenged the investigation's process. The Welsh Government, which commissioned the investigation and agreed to the decision, said the delay was "deeply frustrating". 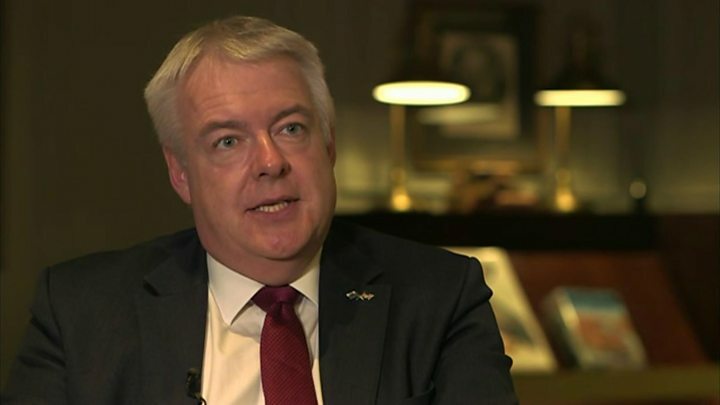 Mr Sargeant, who was the AM for Alyn and Deeside, was dismissed from his job as cabinet secretary for communities and children amid allegations of inappropriate behaviour towards women. Four days later he was found dead at his family home in Flintshire. An inquest has heard the provisional cause of his death was hanging. Lawyers for Mr Sargeant's family threatened legal action after claiming they had been excluded from the investigation into his sacking. They want to be able to cross-examine witnesses as part of the process. But on Wednesday it emerged the Mr Bowen QC had taken the decision to suspend the investigation pending the "finding determination of the judicial review proceedings". "It would not be appropriate to take any further steps in the investigation, including obtaining evidence, in circumstances where, if the Judicial Review is successful, the operational protocol could be quashed and the procedure of the investigation and powers of the investigator may change," a letter from the solicitor for the investigation Charlotte Haworth Hird read. The delays mean the probe will not start hearing evidence until after Mr Jones steps down as first minster in December, and it is not clear when it will begin. Mr Jones had previously said it would be "wrong" to "disappear" in the middle of the investigative process. In January, the Welsh Government initially hoped the investigation would take no longer than four months. The letter from the solicitor revealed that hearings could not take place before March or April of next year, because of the availability of everyone involved. However she goes on to say the judicial review means it is now "not appropriate" to set any dates. It is not really concerned with the conclusions of that process and whether those were "right", as long as the right procedures have been followed. The court will not substitute what it thinks is the 'correct' decision.